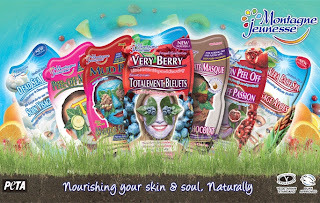 Montagne Jeunesse… good for your skin, your wallet and the earth! As part of the Influenster program I get to try great beauty products! In my last Voxbox I received a product from Montagne Jeunesse! This is a wonderful face masque! I got the Strawberry shuffle flavour! It smelled so good that I could not believe it was a masque. Its so easy to use just wash you face, dry it and apply to your face for 8 to 10 minutes, wash off with warm water and towel dry! It left my face feeling and smelling so good! My skin was so soft and smooth! I cant wait to pick up some more at the store next time I go shopping! I also love the fact that the products are not tested on animals and are free parabans! Thanks to Influenster and Montagne Juenesse for the sample of this wonderful product! Hmm... never heard of these before. Looks interesting!